Recommended by runner Shinobu Kikuzato, this bridge in Okinawa, connecting Nakijin Village and Kourijima Island, offers an incredibly scenic route that promises to leave you with a mind as clear and peaceful as the crystal waters below. Kourijima Island, which was connected to Yagajishima Island in 2005 via the Kouri-Ohashi Bridge, was ruled by the Hokuzan Dynasty until the Okinawa Islands were unified by the Ryukyu Dynasty. Legend has it that the island was the “birthplace of humanity,” home to Uminai (a female) and Umiki (a male)—the Okinawan version of Adam and Eve. It's therefore also known by the alternative name of "Kuijima" (Love Island), and is popular with female tourists as a spiritual power spot. The first half of the lap around Kourijima Island is somewhat steep, as is common with roads around an imperial palace, and as you reach the northern end of the island you have a panoramic view of Iheyajima Island and Izenajima Island in the distance. The road gradually slopes downward as you head toward the south end of the island. 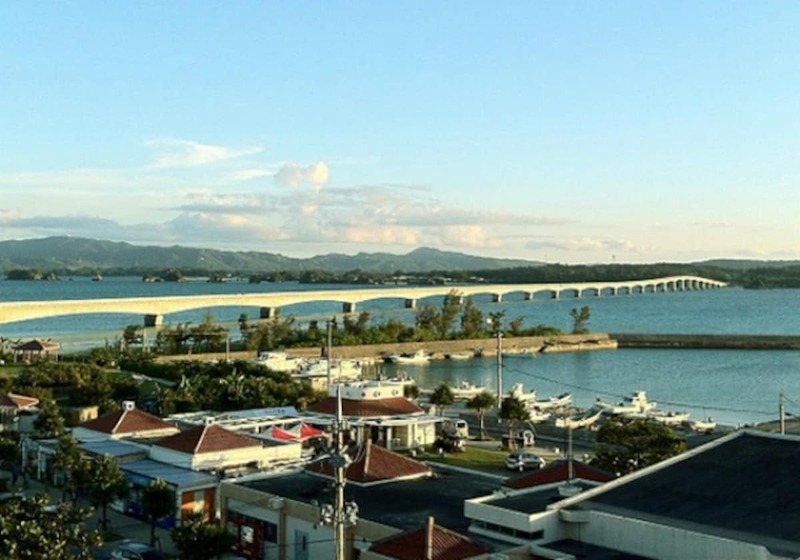 Kouri-Ohashi Bridge is the longest bridge in Okinawa. The structure cuts straight across the sea and stretches for as long as 2 kilometers (1.2 miles). 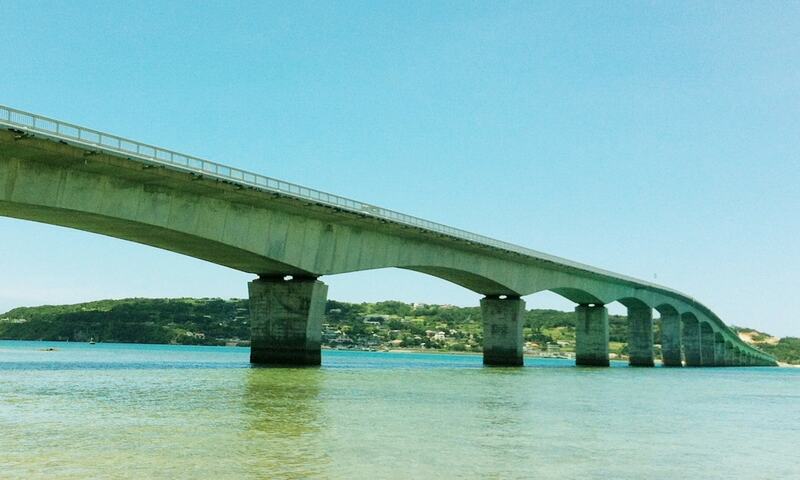 The bridge is higher than the land, providing one of the best scenic points in Okinawa. While crossing the first half as you head toward Kourijima Island, you’ll probably experience the strange illusion that you’re really flying over the sea! This bridge is used as the location for various visual works such as movies and television commercials. Why not try a run or a cycle along this beautiful road! We certify roads to run, walk and cycle, valuing the sense and feeling when we actually stand there, not when driving a car. Through the discovery of new perspectives, we would like to help make Japan the most popular place in the world for tourists to visit.